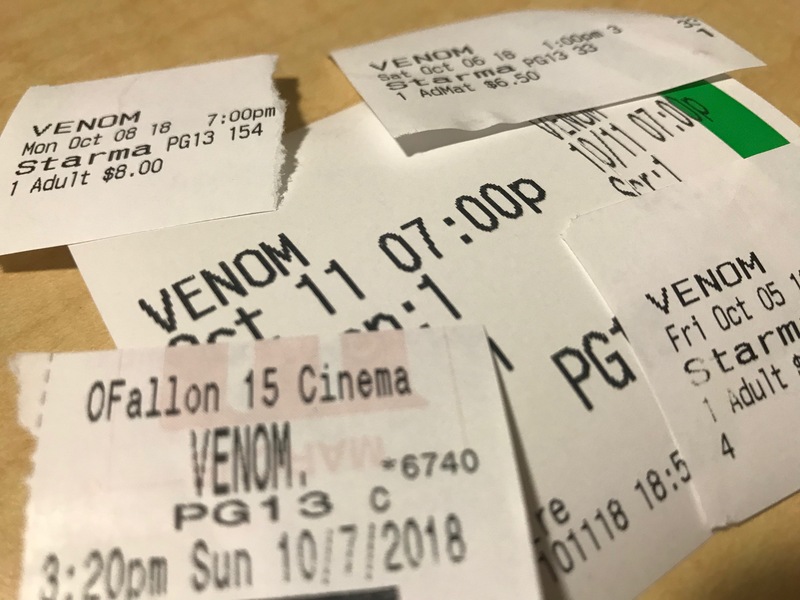 I’ve had the pleasure of seeing Venom five times, and I don’t plan on stopping any time soon. As a fan of Marvel and comic book movies, I was immediately excited by the initial trailer. A big draw, for me though, was Tom Hardy. Since 2015’s Mad Max: Fury Road, Hardy’s ability to embody his characters has left me impressed. While I had encountered many negative reviews of Marvel’s latest film, I remained optimistic. Accounts of bad CGI, no Spider-Man, and comparisons to Sam Raimi’s version of Venom that plagued the internet wasn’t a deterrent for me. From my first viewing, I was not disappointed. In fact, the more I watch this movie, the more I fall in love with these characters and their storyline. 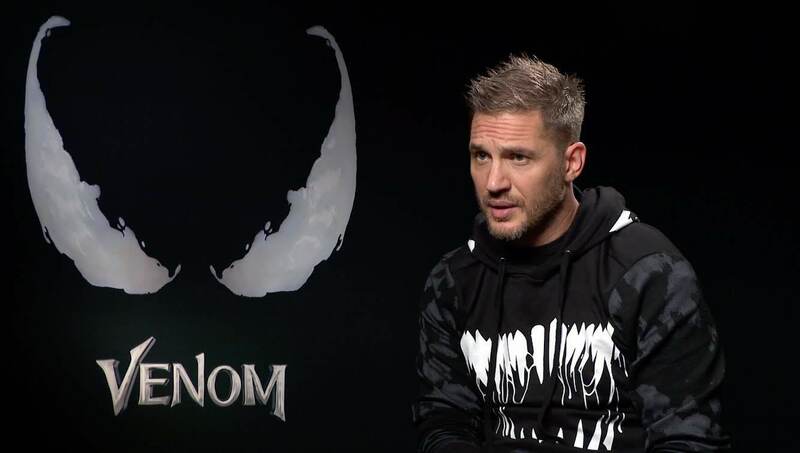 Actor Tom Hardy in Venom interview. Photo from 50 Inside. One of the biggest draws in this movie is the titular character and our protagonist. Venom is uniquely special because of the relationship between the aforementioned symbiote and Eddie Brock (both portrayed by Tom Hardy). 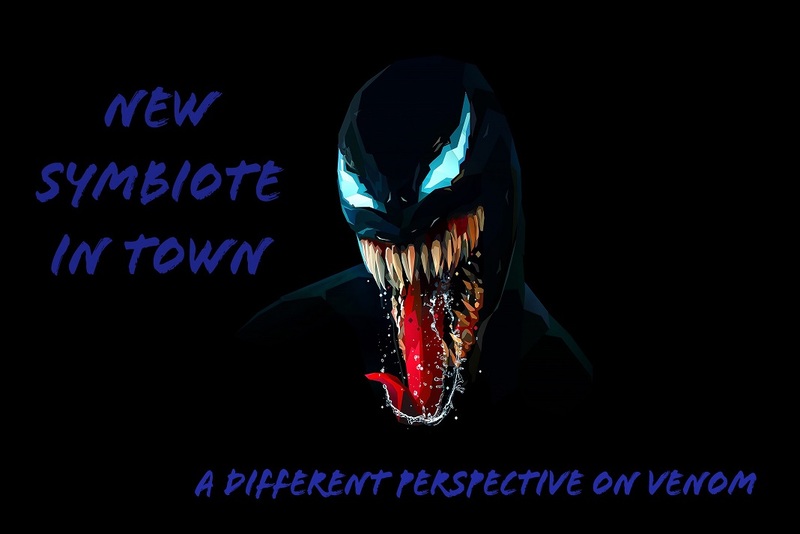 As the movie progresses, the viewer witnesses as Venom evolves from just a voice in Brock’s head to an equal partner in their relationship. Both characters’ witty one-liners and their dark humor count as strengths for the film. Hardy gives a vulnerable and heroic performance for both Venom and Brock. Hardy isn’t the only shining aspect of the movie, however. Michelle Williams (The Greatest Showman) portrays Anne Weying as smart and capable. I was incredibly pleased to find that she wasn’t reduced to a damsel in distress or just a love interest. Riz Ahmed’s (Rogue One: A Star Wars Story) Carlton Drake is also a convincing villain. In his quest to save the world, this faux Elon Musk manages to be terrifying but still hold a ring of truth. If humanity was indeed destroying Earth, wouldn’t it make sense to seek out another habitable world? But the highlights of Venom don’t stop at shining acting performances and convincing CGI. In a move that I attribute to the screenwriters, Hardy’s Eddie Brock stands out as an example of positive and non-toxic masculinity. The film was mainly written by female screenwriter, Kelly Marcel. Due to his rogue-ish reporting ways, Eddie loses his career, his home, and his relationship. It’s at rock bottom Eddie and Venom meet. And even though Anne is in a new relationship with Doctor Dan Lewis, they’re both there for Eddie. It was refreshing and human to see Anne and Dan assist Eddie when they could have easily turned him away. It was equally as welcoming to see Eddie and Dan’s interaction as two people who love the same woman. Not once did they reduce her to a trophy to be won. Regina’s movie tickets. Photo by Miranda Coffee. Marvel has found success yet again. Venom is a fun, action-packed ride. It hits humor, suspense, and action beats well. You will leave the theater excited for the inevitable sequels sure to launch from this film. It’s easy to see how it’s the number one movie in the world. It’s currently running at the Globe, here in Greenville, in 2D. The way I see it, we can do whatever we want. I want to see Venom. Do you?